Calling all sausage makers: Do you make Britain’s best sausages? 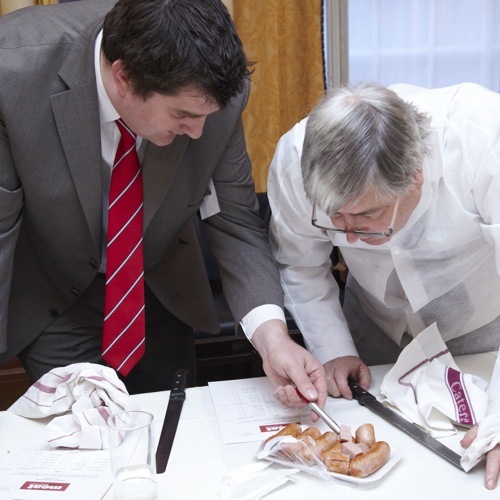 British Sausage Week 2013 is all about finding discovering Britain’s greatest pork sausages. If you believe your pork sausages are among the best in Britain, and you also want the nation to discover them, then this is the time to get your sausages on the map. BPEX (and I) after the best traditional pork sausages and something new and exciting to tantalise the nation’s sausage taste buds! To enter just follow this link. Alternatively you can download and print this form. It’s not just BPEX who want to know. I am also searching for perfection and I would love to come and visit you. You can get involved in my crowd-funded book about sausages by clicking here. Sausages can save the High Street!